Winter has grown up next to a magical wood where thresholds to other places and times open, and occasionally people wander through. It is up to the guardian of the wood to ensure these travelers make it back to their homes. Winter’s family is bound by magic to watch over the wood, and when her father disappears, she becomes the sole guardian. 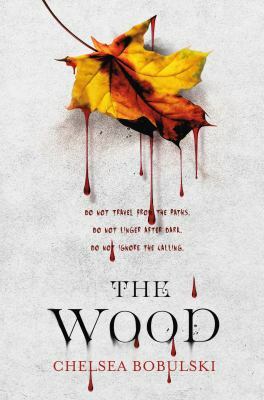 One day she notices that the wood is becoming diseased, and a boy from the 1700s refuses to return to his time. He claims to have information that could help her find her father, but how can anyone from hundreds of years earlier know about her father? There is a lot I loved about this book. Winter has a good head on her shoulders. She thinks things through, using what she knows to solve problems and figure out what’s going on. The book was fast-paced and kept me up reading long after I should have gone to bed. It was creepy, thrilling, and I was honestly kind of sad when it was over. If you’re looking for a great fall read, this is something I can easily recommend.